In order to keep pace with never ending demands of the customers, our company is instrumental in offering Automobile Starting Coil. We offer high quality magneto to many cars, 2 wheelers and 3 wheelers. These magnetos very well provide appropriate spark for the ignition in the engine. We use good quality silicon stamping while manufacturing this product. It efficiently interrupts the current and increases the voltages in the circuit to provide enough spark for the ignition of engine. 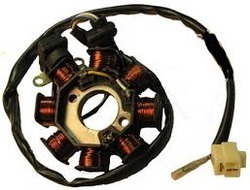 These magneto starting coils efficiently provide appropriate spark to the spark plug for instant ignition in the engine. We use good quality stamping inside these coil.They effectively interrupt the flow of current and increase the amount of voltages. 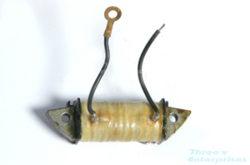 Our coils are highly demanded by various manufacturers of 3 wheelers and 2 wheelers.